Older Americans have the highest rates of gum (periodontal) disease. 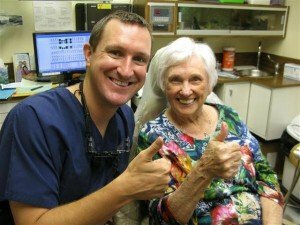 Regular dental cleanings and checkups should be an important part of senior citizens dental care. Senior Citizens sometimes are unable to keep up with their dental health due to the limitations of a fixed income, lack of mobility, lack of transportation to the dental office or more pressing serious medical conditions. Unfortunately, untreated periodontal disease and tooth decay negatively impact senior citizens overall health and dental health. Dr. Nugent is well prepared for the unique challenges senior citizens can present. 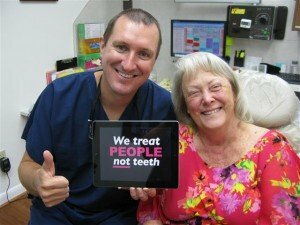 Dr. Nugent is frequently asked by patients and patients’ families if it makes sense to invest in the teeth of a person in their 70′s, 80′s or 90′s? The answer is yes. For senior citizen patients to remain active and engaged in full lives one must have good dental health. Seniors need strong teeth and gums to support speech, chew food and good digestion. Food digestion begins in the mouth. Proper chewing delivers good nutrition by facilitating digestion and delivering essential nutrients to the body. Dr. Nugent routinely cares for elderly patients. 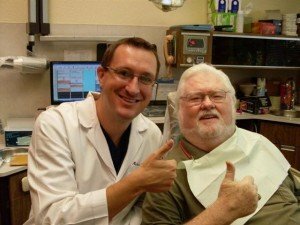 Dr. Nugent treats senior citizens with the same consideration and compassion as he does all his patients. Dr. Nugent will take the time to examine each senior and evaluate each case individually. Dr. Nugent understands the limitations of a fixed income. He strongly discourages patients and caregivers from “cutting corners” when it comes to dental health. The bacteria that cause gum disease (periodontal disease) can cross into the blood stream and travel to vital organs. It has been established that dental bacteria can lead to and aid in serious health problems such as: heart disease, stroke, respiratory disease and diabetes. To help avoid serious medical complications and costs dentistry must remain an integral part of a general health routine. For Senior Citizens that have lost a tooth, the best tooth replacement is a dental implant. Furthermore, if a patient is already in dentures Dr. Nugent can create dental implant dentures. Dr. Nugent sees patients from Pasadena, Deer Park, La Porte, League City, Webster, Clear Lake and Houston Texas. 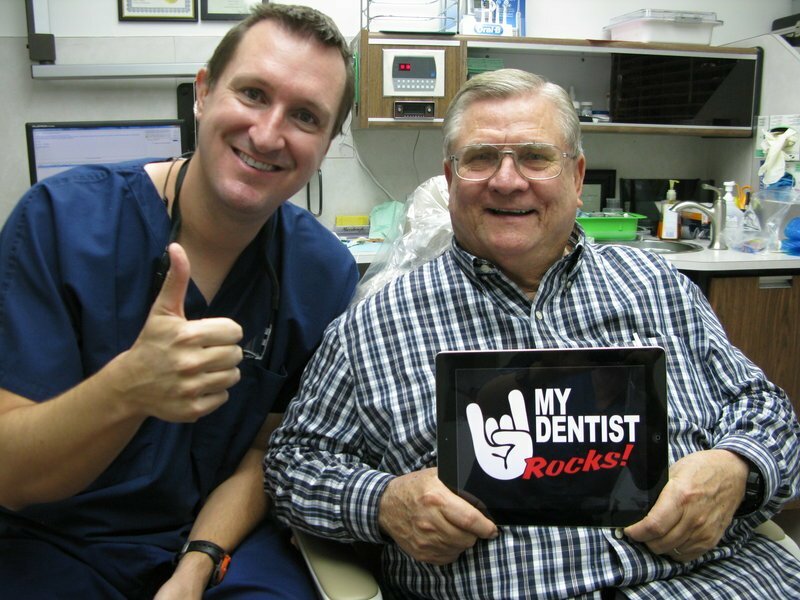 Dr. Nugent was voted BEST PASADENA DENTIST multiple times. Visit us at 3421 Burke Rd Ste A, Pasadena, Texas 77504 or call us at 713-941-8261. Discover how amazing dentistry can be with our office.